We meet monthly in the Group Leader's home. Group members read a novel chosen from the Hampshire Library Book List in their own time . This is followed by an informal discussion during the meeting. Once per year we visit a location with literary connections. 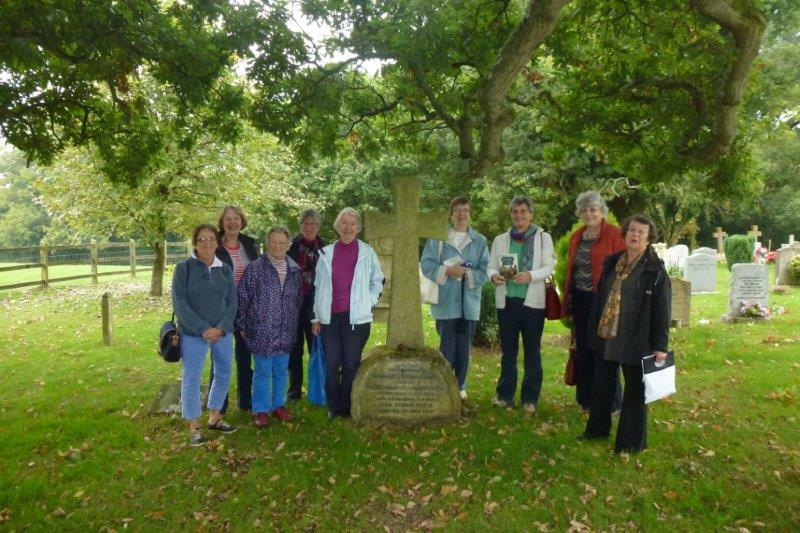 We have had trips to Dorchester for Thomas Hardy, Chawton for Jane Austen and Minstead for Conan Doyle. The Reading group gathered together in August 2016 to celebrate the 90th year of one of its members, Marjorie. 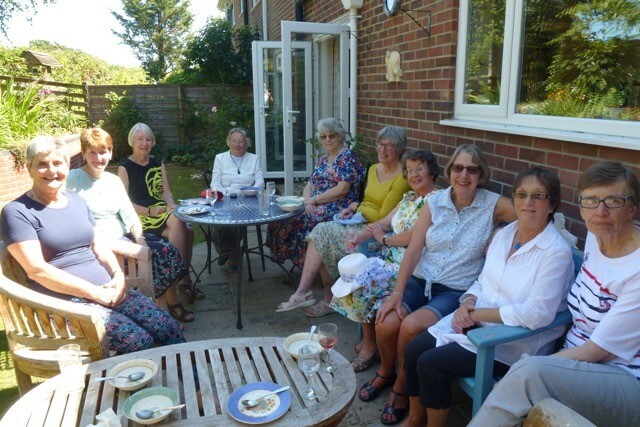 A delightful lunch time party was held in Sue's sunlit garden. Toasts were made to wish Marjorie a very happy birthday, delicious food eaten and much merry conversation was had. Everyone in the group has been in it from the start which is just coming up for 6 years next month. Thanks were given to Sue for hosting the party and leading the group so brilliantly. It was agreed that joining the group was the best thing each had done.